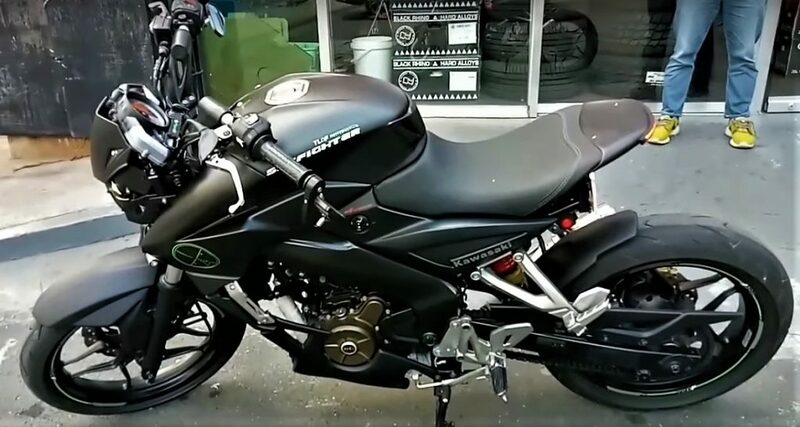 Bajaj Pulsar is a popular sport bike in India but when it comes to modification, Indonesia proves an even better ground for this lightweight sport bike. 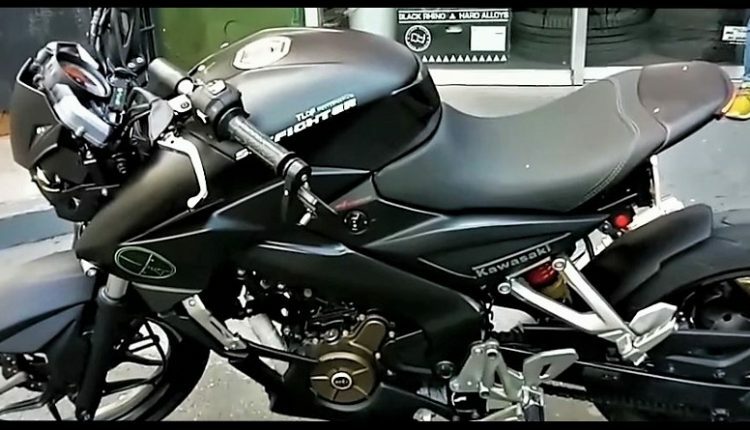 We have witnessed few of the best modified Pulsar NS200 motorcycles in the past and this, the story still remains positive for the street fighter. It is sold by the name Kawasaki Pulsar 200NS and turns every available head with its human like facial expressions. Yes, you read it right! 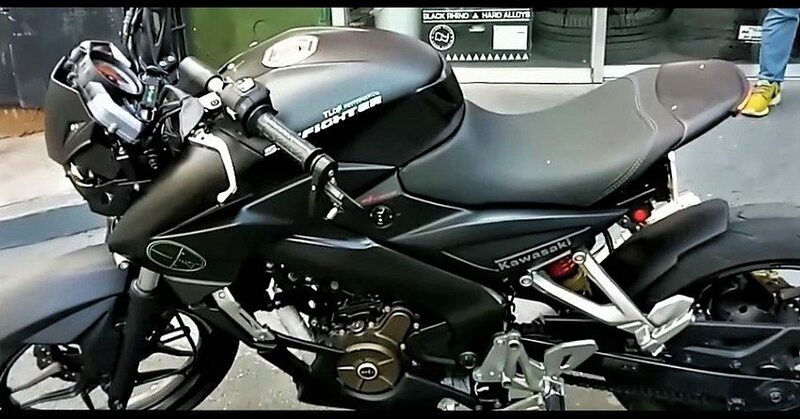 This Pulsar 200NS is carrying a front fascia that seems derived from a transformer. It carries exclusive twin eye like headlights for both better lighting and angry expressions. The motorcycle not just had an exclusive front fascia but also came with a reworked tail end that almost skips the rear seat. The frame was neatly chopped and ended into a thin tail with integrated LED strip for tail light. Tyres at both ends were replaced with wider units for added street presence. 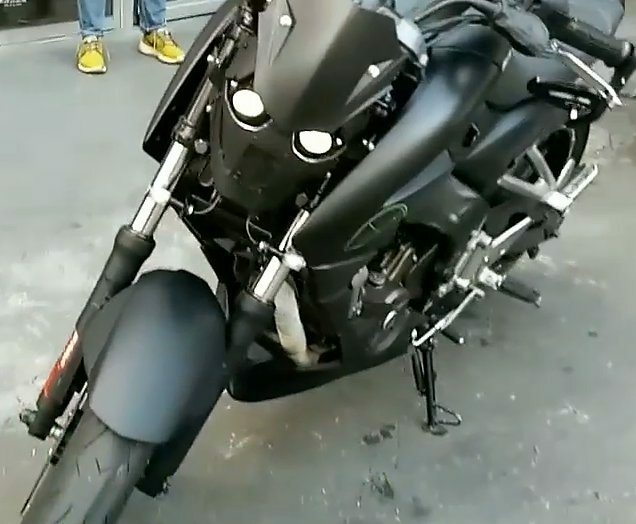 All body parts were wrapped in Matte Black for the alien inspired feel from the motorcycle. It took almost 45 days for TLDF MotoMotive to turn the standard motorcycle into this awesome machine. Fuel tank and instrument console was kept standard for easy maneuvering. Bajaj Pulsar NS200 is powered by an impressive 199.5cc, single cylinder engine producing 23.17 BHP at 9500 rpm and 18.3 Nm at 8000 rpm. The engine comes mated to a 6-speed gearbox. 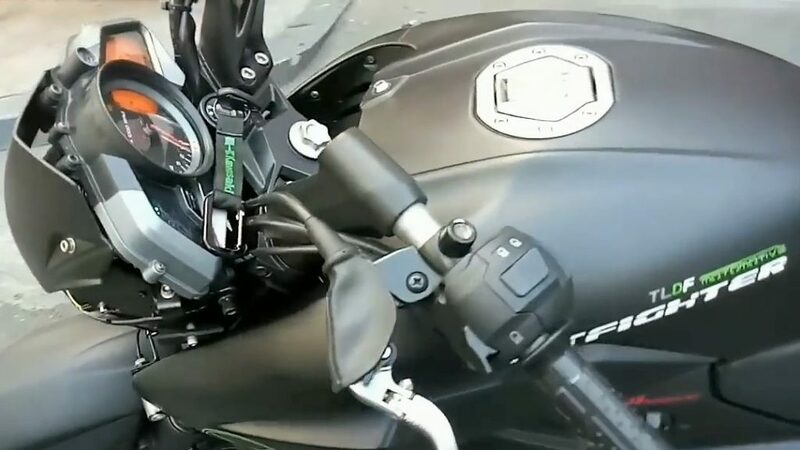 Bajaj Auto offers the same with carburetor fed engine in India while some countries are getting the fuel injected version of NS200 as standard. Indian spec NS200 comes with optional front ABS while dual channel ABS can only be bought on Dominar 400. It weighs 152 kg in India as the weight includes mandatory accessories with the motorcycle. This would be definitely lighter than the stock version.